Company logo designs and icons – what’s the difference? Netflix is the world’s leading Internet television network with over 81 million members in over 190 countries and we binge on more than 125 million hours of TV shows and movies per day. So, unless you’ve been living under a very large rock, the chances are you’ll have noticed the Netflix rebrand that launched in June. The streaming giants changed their app icon much to the disappointment of thousands who took to the internet to document their disapproval. Their reaction may seem extreme, but we as consumers hold a brand’s identify close to our hearts. We personally adopt brands we like and when the face of the brand changes we panic that the brand is also changing. 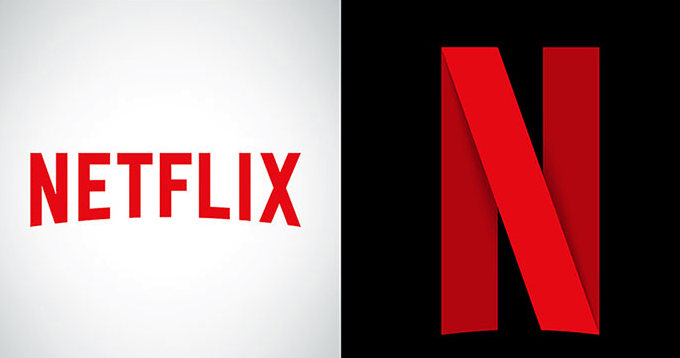 Now, Netflix assured us that in fact they are not changing the face on the company and are merely adding a secondary icon to supplement their logo. So, with all the confusion over the jargon used to define the face of a brand; what exactly is the difference between a logo and an icon? Everything your brand stands for should be expressed in your logo, and this is then used to connect emotionally with your customers. Would Nike customers parade through the streets emblazoned with the infamous “swoosh” if they did not want to be associated with what the brand represents? Icons have been used in as far back in recorded human history as we can go. Though, thanks to the rise of user experience and web development, today icons are associated with this industry. An icon’s intention is to be a visual representation of information that is understandable to all. They’re used on user interfaces to describe what the application does in an instant. Staying with the Apple theme, let’s look at the icons the brand use successfully. Their ITunes icon can be recognised instantly as being related to music thanks to the double quaver. There is no need for words; the application’s purpose is made clear through succinct visual information. “Not a new logo! The N is an icon and a new creative element to live with our logo. The current Netflix logo is here to stay”. Logos and icons have different purpose, if you are confused to what one is right for your purpose, ask, is this image being used to simplify an action? If so, use an icon. If the brand is being represented visually then opt for a logo. Melissa Lang is freelance writer from Glasgow, Scotland. Melissa has a keen eye for all things design and in the past has consulted on business branding and marketing. Melissa currently writes for a company logo designer.